Friend of Felix Deborah Gregory and co-founders Sheila Jaffe and Darryl McDaniel at the Putnam County camp for foster kids. MEOWVERLOUS: Catwalk trilogy book release event at Hue-Man Bookstore on Sept. 27th. 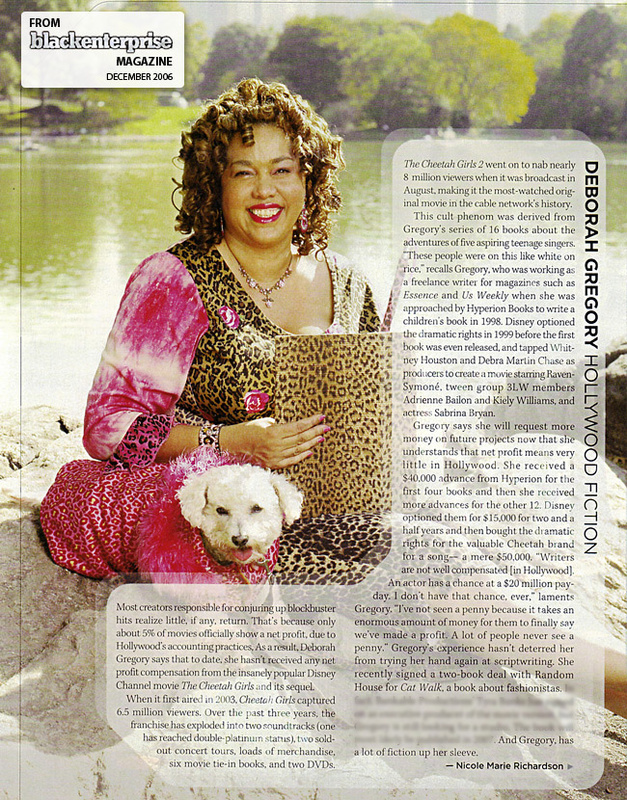 Brittany the Book Slayer: Cheetah Girls Author, Deborah Gregory, gets WILD! My Brown Baby Blog: The My Brown Baby Happy For the Holidays CHILDREN’S BOOK GIVEAWAY! UrbanBeautyCollective.com: PURRLICIOUS AND PLUS SIZE, PUHLEESE! Catwalk is CosmoGirl’s June book club pick. 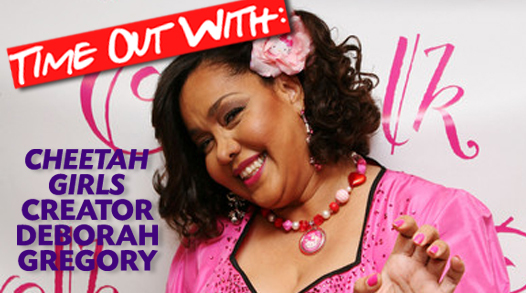 CosmoGirl.com: Deborah Gregory answers five quick questions just for you! 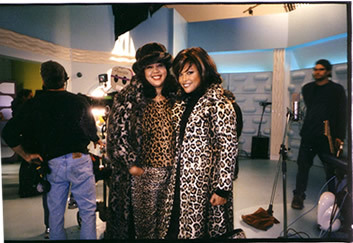 EbonyJet.com: Deborah Gregory on the facts of life. 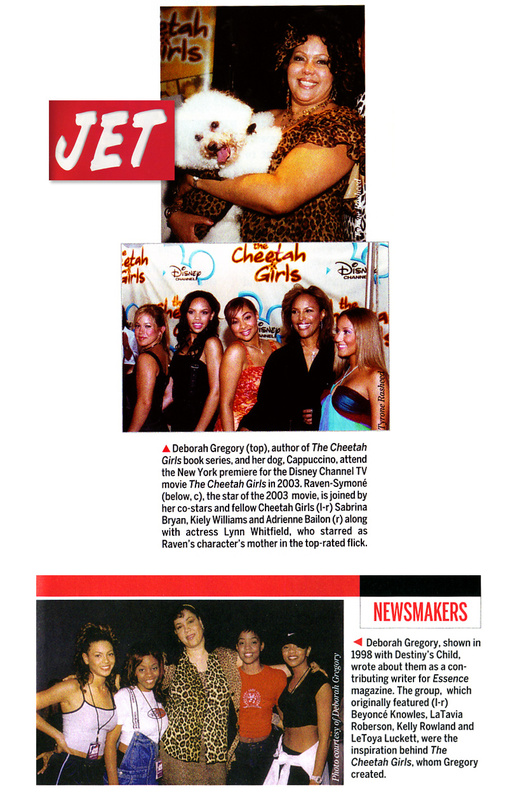 The Disney Channel has teamed with Whitney Houston to produce the cable network’s first musical telepic, “The Cheetah Girls.” The project is based on Deborah Gregory’s series of “Cheetah Girls” books from Walt Disney Co.-owned Hyperion division Jump at the Sun. Gregory is also a co-producer on the project. 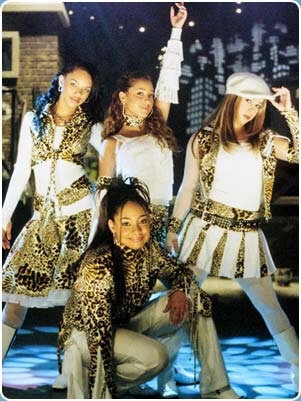 Raven Symone (“The Cosby Show”) who stars in upcoming Disney Channel series “That’s So Raven,” ; pop singers Adrienne Bailon and Kiely Williams, of the band 3LW; and Sabrina Bryan (“The Bold and the Beautiful”) star as four Gotham ninth-graders who dream of becoming dancing and singing superstars. Pic marks the 3LW members’ acting debut. “It’s a multiracial ‘Clueless.’ It’s all about friends, fashion and fake fur,” Gary Marsh, Disney Channel’s executive VP of original programming and production told Daily Variety. Lynn Whitfield (“The Josephine Baker Story”) co-stars as a model-turned-fashion designer who is the supportive mother of one of the girls. Deal for Whitfield, who also co-stars in Chris Rock’s “Head of State” for DreamWorks, was brokered by her manager, Danielle Allman, and William Morris Agency. “Cheetah” being shot in Toronto for an August preem, is budgeted at about $4.5 million, considerably more than a typical Disney Channel original movie. Houston and Debra Martin Chase (“The Princess Diaries”) are executive producers of the pic, a production of Martin Chase Prods/Brownhouse Productions in association with the Disney Channel. Oz Scott (“Tears and Laughter: The Joan and Melissa Rivers Story”) is directing from a teleplay by Alison Taylor (“The Wayans Bros.”). Troy Liddell is choreographer. 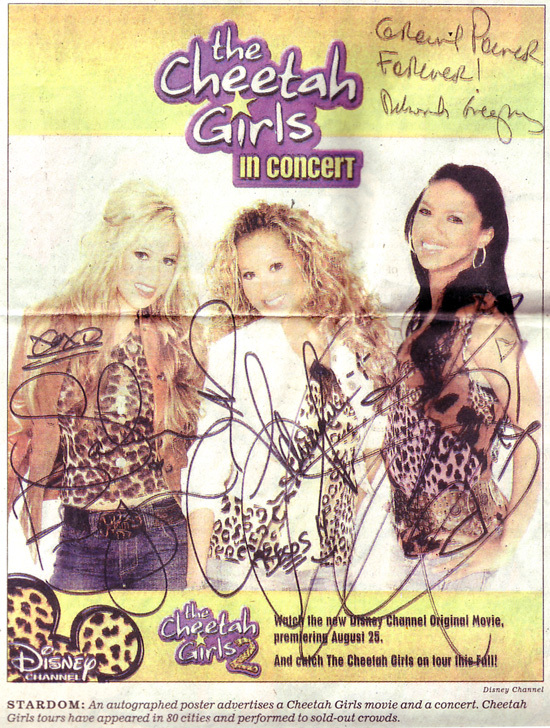 “The Cheetah Girls” wil feature original songs performed by the four girls with a soundtrack release on Hollywood Records. Raven’s “That’s So Raven,” Disney Channel’s first multicam laffer with a studio audience, bows Jan. 17. The involvement of Raven, who is repped by Osbrink Agency and managed by her father, Chris Pearman, is emblematic of Disney Channel’s talent strategy, which is to see stars of its series and movies move between both forms. Bailon and Williams are managed by Michelle Williams and repped by Writers & Artists Agency. 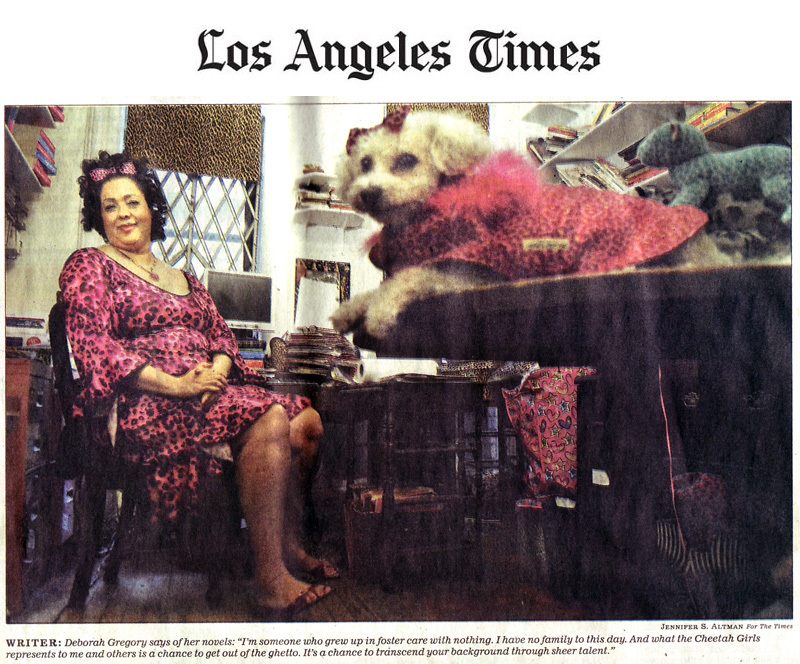 Bryan is repped by Abrams Artists Agency and managed by Sharon Berg. Gregory’s deal was brokered by attorney Lita Richardson. WMA reps both Chase and Houston. The remaining members of the pop group 3LW will star in a new movie about a multiracial girl group. 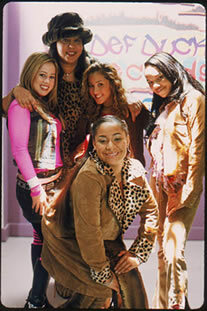 Kiely Williams and Adrienne Bailon have been added to the cast of the Disney Channel original film, The Cheetah Girls, based on the book series of the same name written by Essence contributing writer Deborah Gregory (who also serves as the film’s co-producer), follows the life of a teenage singing group. The film is produced by Whitney Houston, Debra Martin Chase and Cheryl Hill. It will shoot in Toronto and is expected to be released this summer. I asked 3LW’s manager, Tse Williams, why they kept ex-member Naturi on 3LW’s CD cover and liner notes. She told me she felt that the other two group members didn’t start the public display of the breakup and that Naturi contributed to the album. She thought it would have been petty to take her picture and thank-you’s off the album.